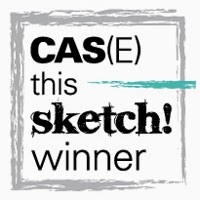 Here´s my card for the sketch on CAS(E) this Sketch blog this week. With October being national Breast Cancer awareness month, their blog is turning pink. Here´s my card with a fighting girl! Used a stamp from Penny Black, which I thought was perfect for this theme! 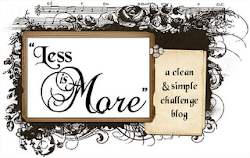 There´s a recipe challenge on Less is More´s blog this week! I used vellum and stamped the tree to the back of it. Placed the vellum on a painted paper from my trash...;) Splashed some snow to it! 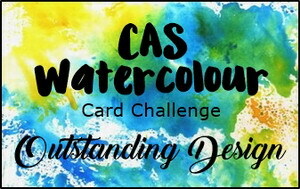 It´s a color challenge on CAS Colours & Sketches blog this week! I used dies from Penny Black and added Copper Liquid Pearls! 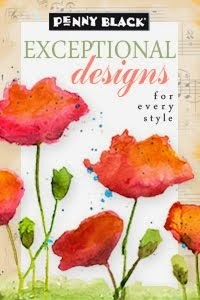 More new stamps from Penny Black! There´s a Blog Hop on Serendipity Stamps blog now! There´s a lot of beautiful new stamps from penny Black being released in Penny Black´s shop! Here are two cards from me! Here´s a card with some of the new dies from Penny Black! The theme on Less is More´s blog this week is "Spiders or Insects"
I´ve done a Christmas card that reminds me of my childhood Christmases...beautiful memories! 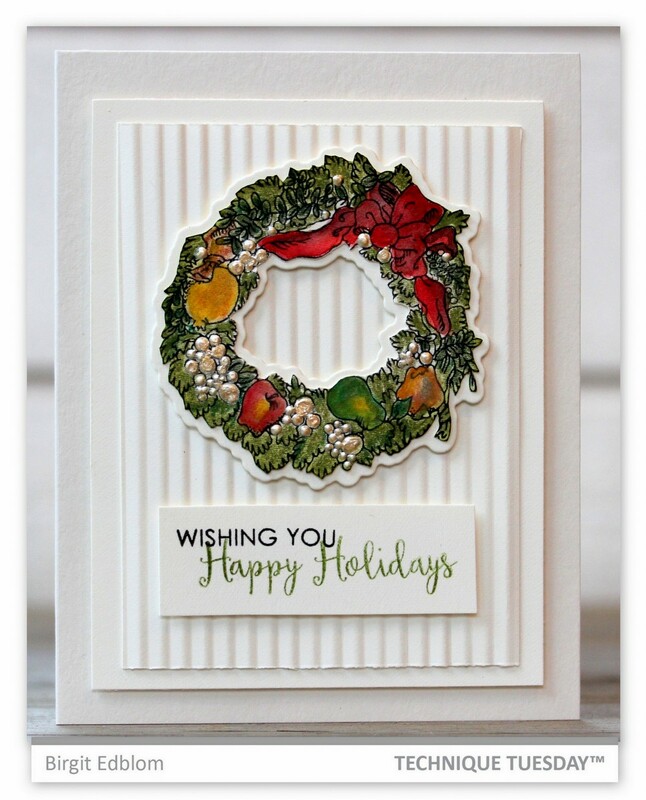 A card for the challenge on CAS-ual Fridays blog! "Did you know that 1 in 8 women will be diagnosed with breast cancer? I don't know about you but I don't like those odds. 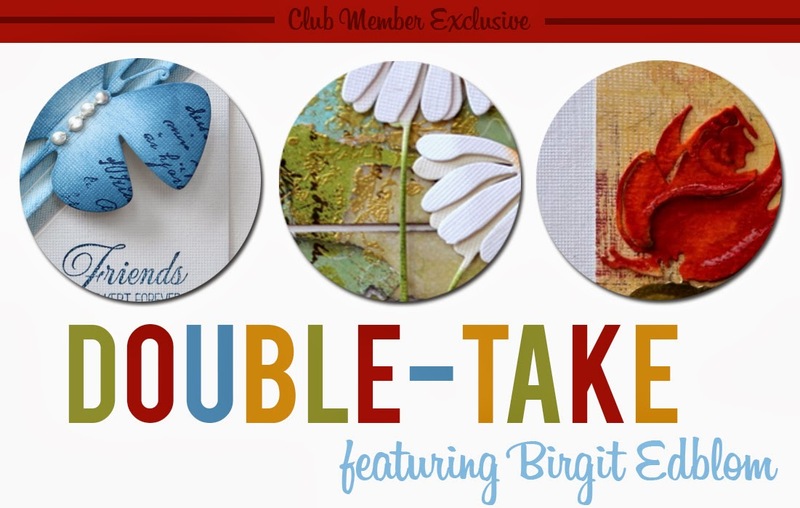 For this challenge, use 8 of any one item on your card or project." I used 8 leaves for this wreath in pink and grey. and the theme is Dream! I used stamps from Technique Tuesday, masked the branch. The speech bubble is drawn by hand. 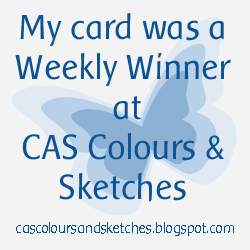 Here´s my card for the colour challenge on CAS Colours & Sketches blog this week! A card using fall colors today! 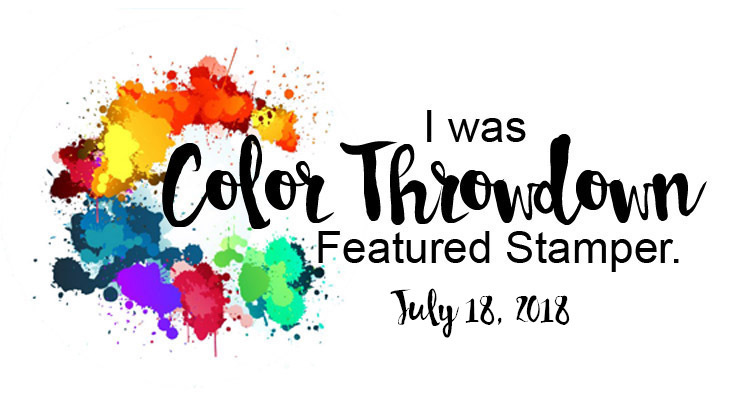 I used watercolors for the background to my favorite stamp and die from Penny Black! 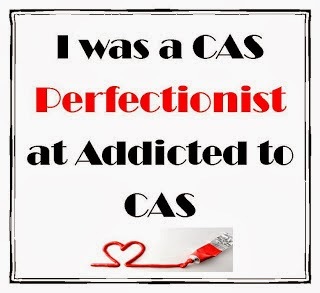 The code word this week is WATERCOLOUR on Addicted to CAS blog! 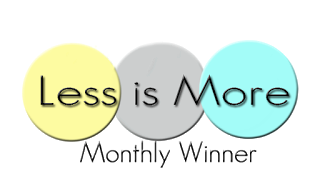 This week there´s a color challenge on Less is More´s blog!